Contour listened to their users’ requests and added the latest in demand features to the Contour Plus camera. With the new HDMI type C connector, consumers can stream live video directly from the camera to an external HDMI compatible screen or play back full display HD video. Now users can show off their wild adventures directly on their home tv’s immediately after filming. Contour has thoughtfully added an external microphone jack to the bottom of the Contour+ so users now have the option to improve sound recording using an external microphone for professional quality sound recording. Along with a more powerful GPS system that records over twice the amount of data over previous models, the Contour+ encompasses the following improvements. 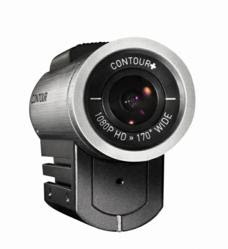 Shop Contour+ HD GPS Camera for LE$$ / Price list Click here!